Yesterday Zagreb STC had small anniversary, we gathered for 20th time! We started with our usual introductions, but this time in not usual way. Iva’s talk was about Mind Maps, so she suggested that we do our introductions by creating Mind Map. Result is on the left. Iva brought two friends that are not testers but use mind map in their work: raising a child and organize processes in company not related to IT! Very interesting experiences. Tony Buzan is creator of mind map, so Google it if you want to know more. We concluded that mind maps are very useful to organize, memorize and learn various topics. 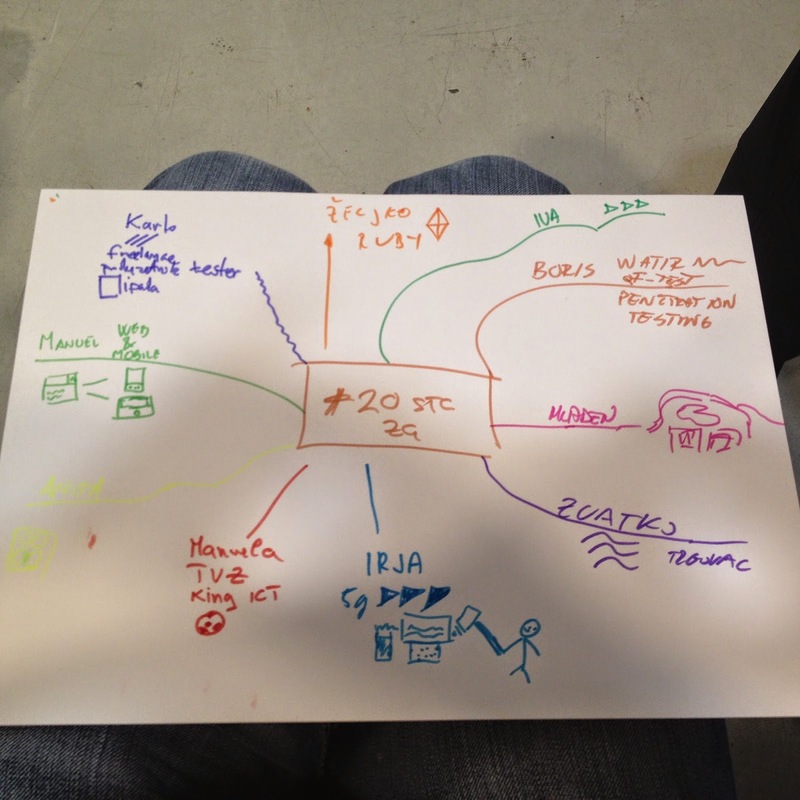 As an exercise, we created a mind map for testing event that we are planing to do this year. In the end, we had two lightning talks. 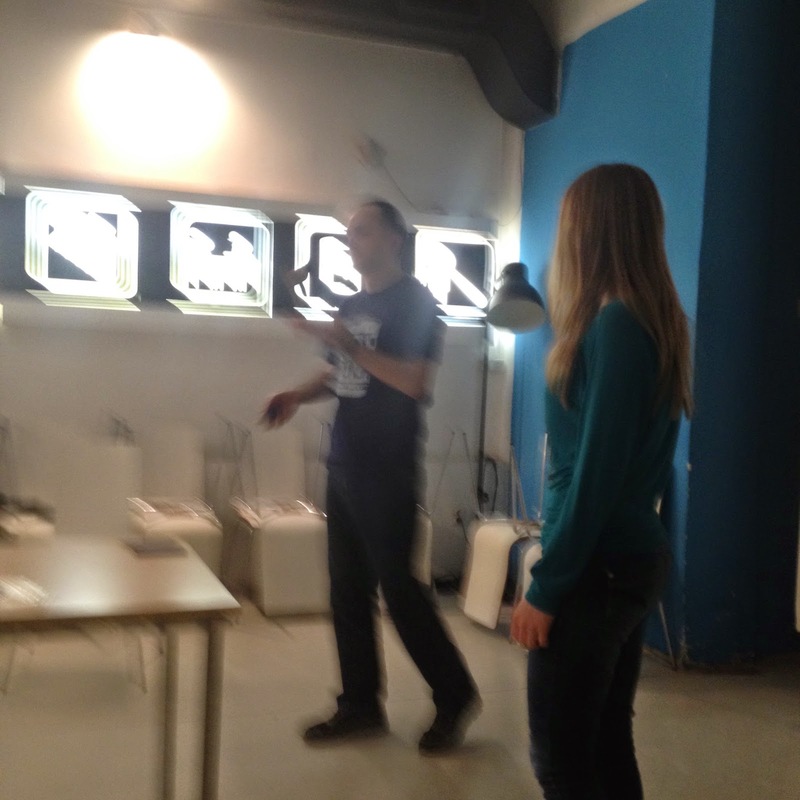 I talked about Toptal, sponsor of our event, and Zeljko presented juggling. We continued our discussion in great new place, Potato House. For the first time I tried Borš and It was great. My freind Dejan, who works at Potato House, explained us how to prepare it. As in testing, time is important component of great Borš. By giving this talk, Iva earned free ticket for WebCampZG 2015. This rule will be applied for all Zagreb STC speakers up to the event schedule.